​Gay fans are almost always hooked on Oz before adolescence, with fandom striking most often between four and nine years old. Many become enamored of some version of an Oz story as young as two or three! Although their reasons for loving stories set in the Land of Oz may change, they stay fans through adulthood, and they express their love of Oz in many ways. Very young baby boomers watched the MGM film every year on television. Many young fans also read the Oz books, either borrowed from the library books or received as presents from their older relatives. Gay boys get in touch with people connected with the MGM film, Margaret Hamilton, in particular, was open to corresponding and even meeting young fans. Adult fans often play with Oz in a more self-conscious way. Some gay men watch the MGM film as part of celebrating pride. ​Dorothy in blue gingham and pigtails is a common sight in gay venues. 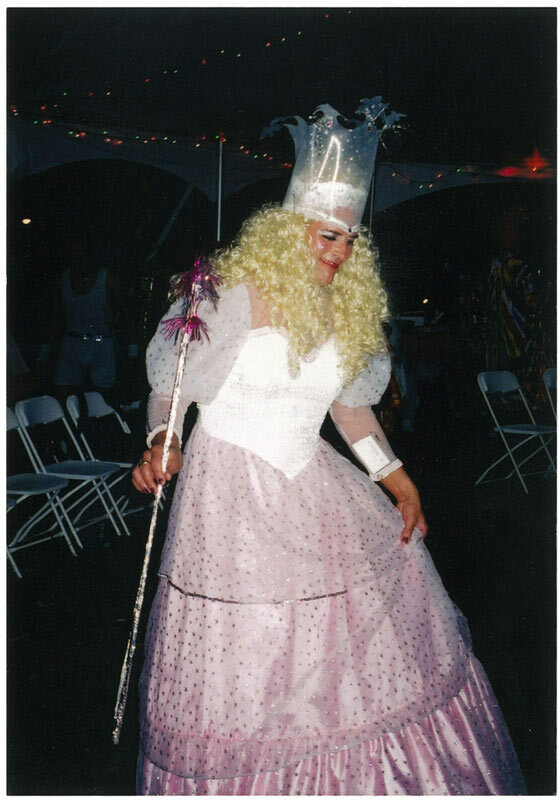 The MGM Glinda is another popular image in gay contexts. If they are talented enough, adult Oz fans can participate in amateur or professional productions, sometimes even making a living via Oz-related creation and performance.